Okay, if you haven’t seen the first episode of the new Doctor Who season/series, you may be a bit flummoxed. But stick with it. 1. Exactly When Is The First Episode, The Eleventh Hour Set Anyway? 2. But What’s With That Hospital Badge? When the Doctor takes his look around the village green we zoom in on Rory’s hospital pass. Issued 1990. Rory is a young man, early twenties at the most, he won’t have been issued with a hospital pass twenty years ago. Some have explained this as Rory’s birthday (nope, it says Issued:) or as a production glitch… but really? 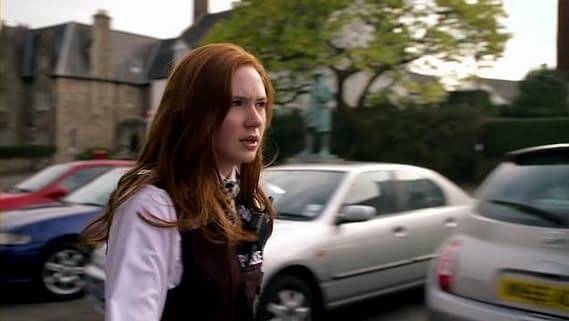 On detail-obsessed Steven Moffat’s first episode seen in close-up? No chance. 3. And What About The Cars? Yes, a look around the green gives other clues. All the cars are nineties-or-older models, with nineties-and-older number plates. Nothing is newer. Now this may be an out of the way village, but that’s very unlikely. And this will have been a deliberate production choice. Nope, without saying it out loud, Amy Plus Twelve is set in or around the year 1992. Amy Year Zero is around 1980. And Amy Plus Fourteen around 1994. 4. Hang On, So What About The Laptops And Smartphones? Indeed, what about them. What could have caused technology to advance so quickly, in the realms of telecommunication at least? And look, they’ve got Facebook too. Possibly some kind of space/time crack in reality? 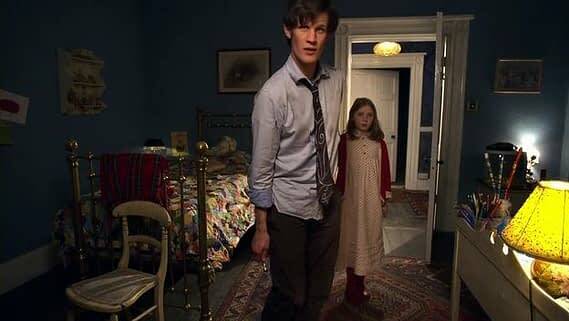 The kind that might run through a wall in a child’s bedroom, “two parts of space and time that should never have touched, pressed together”, possibly Amy herself, as this scene may indicate. 5. Oh Yes, I Forgot About That Bit. Thought you did. 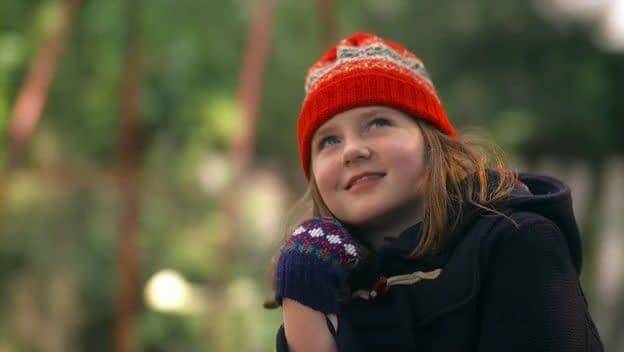 And remember that scene set in Amy Year Zero with young Amy in her coat sitting on her suitcase looking up and hearing the TARDIS return that we thought was just a dream? What if it wasn’t a dream? 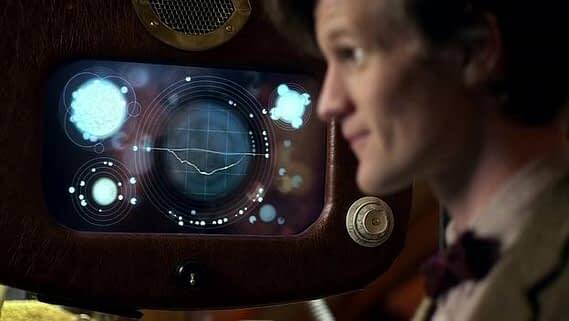 What if the Doctor did come back.. and this is all some kind of time-travelling ultra-complicated structure, the kind that Steven Moffat is famed for? Amelia meeting Amy meeting other Amies… how many are out there? 6. What Else Can We Be Looking Out For To Support Your Thesis? Hailing from the 21st Century, Amy knows all about the Daleks, right? Right?! 7. So What Does It All Mean? 8. What If You’re Wrong? 9. You Were About Paterson Joseph. So Why Did Marc Guggenheim Leave Action Comics Anyway?